This whole week, I kept trying to figure out why this story about Anthony Weiner irked me. I couldn’t put my…uh…I couldn’t figure it out. For the most part, I have agreed with the Congressman on some things and found other things he has said to border on idiotic. But this whole fiasco in the news rubbed me the wrong way. And then I remembered why. Back in 2003 I was a community organizer (yes one of those) for an organization called Families For Freedom. We worked with this family who had a horrific immigration case. Basically, after 9/11, Attorney General Ashcroft decided to go to after a lot of folks from predominately Muslim countries with Muslim names and deport them. He thought that the best way to fight terrorists was to go after completely innocent people that had no connection to terrorism at all. One of the people he went after was a lovely Pakistani-American family of five that lived in Queens, NY in Anthony Weiner’s district. One day, Immigration and Naturalization Service (later to become ICE) agents approached the family’s house pretending to be police officers investigating a burglary the family reported two years prior. After gaining the trust of the family, the agents barged in and took the father (let’s call him Shaheen), claiming he had an old order of deportation. Problem is, the man was generally loved in his Queens community, he was the victim of persecution in his home country, a victim of bad lawyers in this country (his lawyer was actually thrown in jail), and the primary bread winner for his family. All in all, he and his family did everything right to try to keep their status current, but their lawyer didn’t. As a result, the INS agents took the man to a detention center in New Jersey for over a year and forced his wife and three kids (two of whom were U.S. citizens) to fend for themselves. Our organization, several members of the community, and “Shaheen’s” wife and kids went to Anthony Weiner’s office for help. The family already had an attorney but wanted someone to talk to the INS to let him out of detention while his case was pending. The Congressman wasn’t there but we met with one of his aides, a young woman. During the meeting we gave the aide the facts of the case and asked if the Congressman would get involved. Shaheen’s nine-year-old son was translating the entire thing to his mother. The meeting wasn’t going very well, and the aide was downright hostile. But then she started being offensive. She started saying that the family was violating the law by being here illegally and not paying their taxes. We demonstrated that they paid their taxes and did everything in their power to remain here legally but were victims of a bad attorney. At some point one of the adult men in the room starting crying and said “look at these kids, these are good kids. What would happen, if their husband was sent back to Pakistan, and INS came back and took the mother too? What would happen to these kids that have known only this country their entire lives.” She said plainly and coldly, “Our government provides for people like that, they can always go into foster care.” The nine-year-old was forced to have to translate that for his mother. The mother started crying. I don’t know if Congressmen Weiner ever encouraged his aides to lack all empathy for the diverse families with diverse problems in his district. But I couldn’t believe that a Democratic Congressmen in one of the most colorful counties in the country actually hired a person to deal with his constituents with such a lack of compassion. 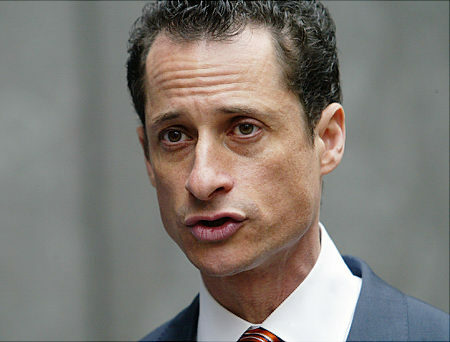 Ever since then, right or wrong, I never looked at Anthony Weiner the same. I never made any of this public and never talked about it much. But when this whole “Weiner-gate” garbage hit the news, I started to remember all of this. There are real people in Anthony Weiner’s district that had both really good and really bad interactions with him and his office on issues that affect their daily lives. But after this week, much of that will be meaningless in determining the fate of his 12 year career in Congress. Does it matter that a Congressman may have committed infidelities and got caught? Sure it does. Especially because of how he got caught. But should it matter more than the impact that Congressman has had on REAL people in his district and the REAL stuff they face everyday? We are in an age where politicians that probably never committed infidelity have lied about wars that killed thousands of people and costs us billions of dollars. Some of those same politicians have obliterated our economy and pretended they had nothing to do with it. Do I care if a politician cheats on their wife? Probably. But I care a hell of a lot more when they cheat on us. « Aftermath: Talking Infidelity and Injustice All On One Show…Listen!